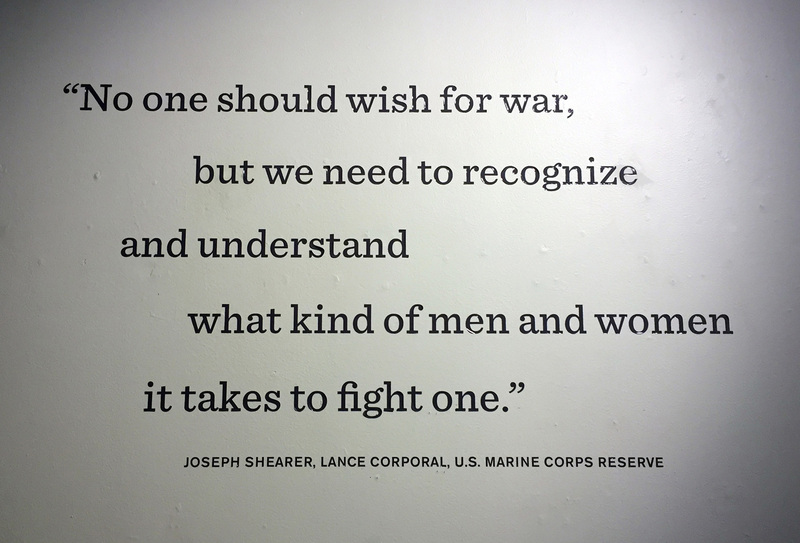 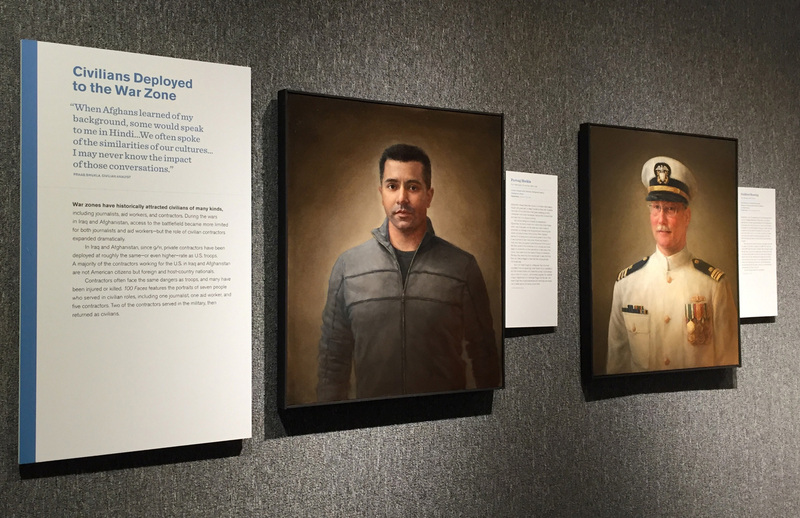 “100 Faces of War,” organized by the Smithsonian Traveling Exhibition Services, features portraits of Americans who went to war in Iraq and Afghanistan, by artist Matt Mitchell. 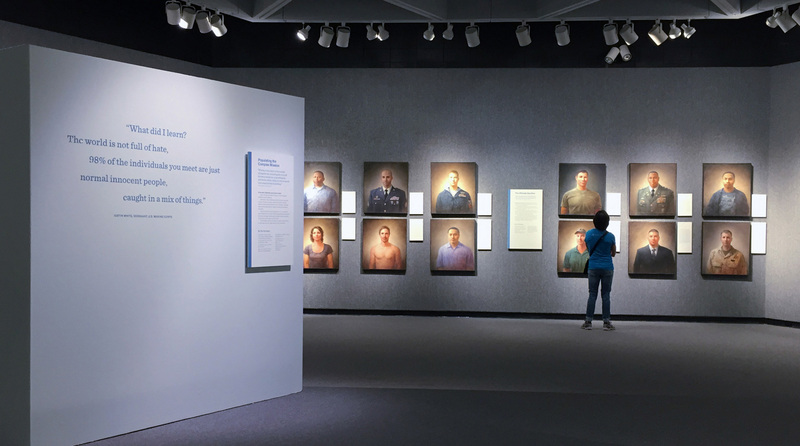 Representing a cross section of home states, military branches, jobs, and backgrounds, every portrait includes a candid, first-hand account of war. 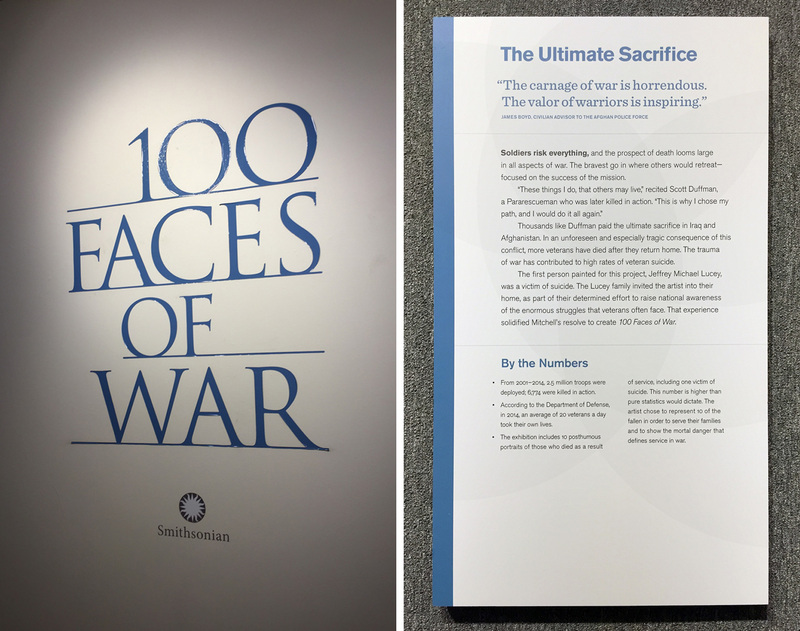 Studio A helped design this traveling exhibition. 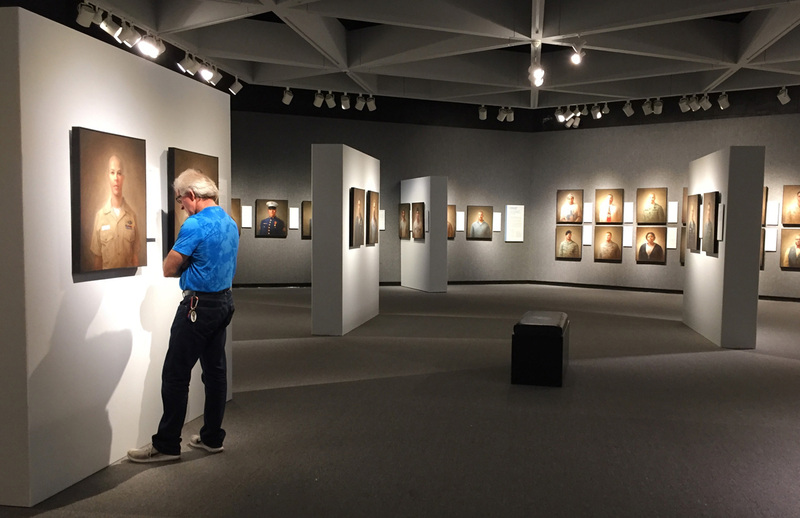 Thanks to Marquette Folley, and Teresa Guevara Gionis, and especially Maribel Gray (for these photos).